July 2018 – The current state of water quality on Florida’s coasts and in several estuaries is disturbing. Water quality is a high priority for CCA Florida and we are doing everything we can to help through our advocacy efforts as well as habitat restoration. Join us in the fight to save our state’s resources. Contact your elected leadership and tell them to prioritize the authorization and funding of projects that will help with recovery. Click here for an interactive map containing information on South Florida Water Management District Strategic Projects. Here’s a comprehensive and timely review of projects and our efforts. 1. CCA Florida supports the funding and completion of all Comprehensive Everglades Restoration Project (CERP) Foundation projects, such as Kissimmee River restoration and the reconstruction and improvements of the Herbert Hoover Dike, which are necessary elements for systemic Everglades water improvement. 2. CCA Florida supports authorization and funding of projects involving water storage, treatment, and conveyance south, east, and west of Lake Okeechobee. This includes the Indian River Lagoon South C-44 Reservoir Project, the Caloosahatchee C-43 Reservoir Project, the completion of the Lake Hicpochee Project, the implementation of the Water Quality Treatment and Demonstration Project on the BOMA property, and the reservoir and associated facilities now planned for land south of Lake Okeechobee on state-owned parcels A-1, A-2, and near-by lands (which is a result of the passage of SB10, which CCA Florida publicly supported during the 2017 Legislative Session). 3. CCA Florida supports other Central Everglades Planning Process (CEPP) projects, including additional bridging of Tamiami Trail (now under construction), and curtain wall construction in South Miami-Dade County. 4. CCA Florida also supports currently planned storage and treatment facilities north of Lake Okeechobee, to help insure water flowing into the Lake from the north is no longer contaminated with damaging nutrients. 5. CCA Florida supported the passage of the Water Resources Development Acts of 2016 and 2018, which authorize several key South Florida water infrastructure projects. 6. CCA Florida supports the C-111 projects in South Miami-Dade. 7. CCA Florida was one of few groups who supported South Florida Water Management District (SFWMD) efforts to increase water flows into Taylor Slough. This series of projects, now completed, will provide benefits to portions of Florida Bay. This involved building connections to existing canals, building canal plugs, the reconstruction of a C-31 West canal levee, and other component projects. 8. CCA Florida continues to encourage and promote better communication between the SFWMD and officials and managers of Everglades National Park. 9. 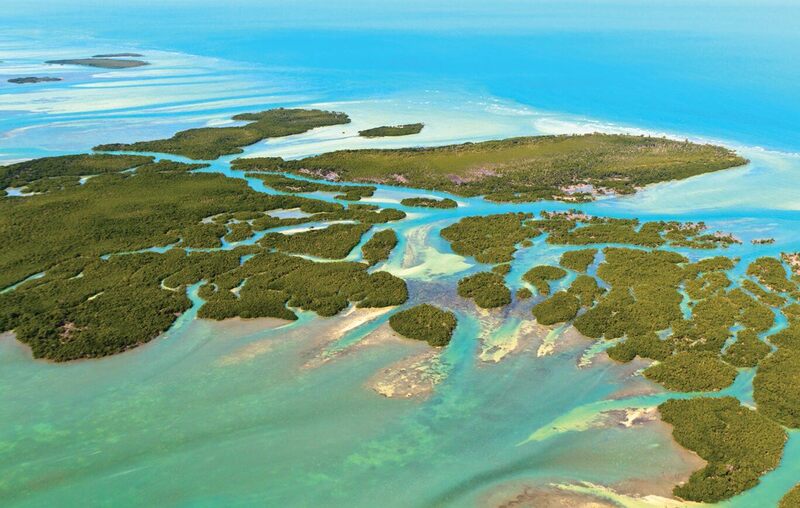 CCA Florida strongly encourages Everglades National Park officials to use existing structures to facilitate the flow of additional fresh water into Florida Bay. 10. CCA Florida opposes management measures designed for single-species management, to the detriment of Florida’s water quality and marine ecosystems. In addition to creating even more detrimental problems to the Everglades hydrology, these approaches may endanger human life and property. CCA supports the Endangered Species Act, but suggests there are better management practices which will produce better systemic results for Florida’s Everglades. 11. CCA Florida actively supports septic tank eradication and sewer conversion throughout the state, and especially in areas bordering estuaries, watersheds, and Florida’s many fresh water springs. 12. CCA Florida continues to promote Best Management Practices for all commercial and residential property owners. 13. CCA Florida continues to promote the use of Amendment 1 funds for everglades restoration and other legally-mandated purposes. CCA Florida actively supported the passage of Legacy Florida legislation. 14. CCA Florida continues to monitor and, to the extent possible, participate in local initiatives that can possibly help our estuaries, such as the Indian River Lagoon Summit, and Brevard County’s actions to fund various IRL restoration projects through a dedicated and citizen-approved ten-year sales tax. CCA continues to partner with other advocacy groups and coalitions to improve water conditions in the IRL. 15. CCA continues to endeavor to solve the fresh water deficits in the Apalachicola River, and in Apalachicola Bay. 16. CCA Florida was actively involved in the blocking of further development of the Oslo Boat Ramp in Indian River County, preserving critical seagrass habitat and spawning areas for multiple species of saltwater fish. 17. CCA is working with the St. John’s Riverkeeper and other groups in an attempt to prohibit dumping of biosolids in the St. John’s River basin. Biosolids is a fancy term to describe massive amounts of human waste and other chemicals and toxins, which are being deposited in sensitive river basins from South Florida Counties, which are leaching into our estuaries. 18. CCA continues to expand its robust habitat restoration programs throughout the state. CCA continues to partner with other groups to deploy artificial reefs offshore, to install oyster restorations projects, to participate in and fund seagrass and mangrove plantings, and is helping finance shoreline restoration projects in the Mosquito Lagoon and other areas. 19. CCA Florida continues to partner with Tampa Bay Watch and other groups which have helped lead to recovery of seagrasses throughout the Bay. One such example is the Fantasy Island restoration project, which is now complete.